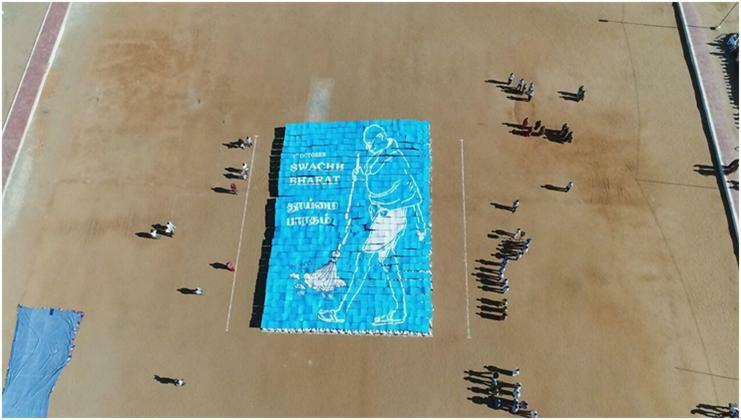 Cleanliness Drive marks Gandhi Jayanthi..
Gandhi Jayanthi is a National holiday to celebrate Gandhi’s birthday: it is celebrated on October 2nd which this year was also the 3rd Anniversary of the Swach Bharath Mission. This is a National campaign to encourage people to clean up the streets of India and take pride in their environment. Our school students were invited to perform in a “Human LED” show in the VOC Stadium, Palayamkottai. It was an initiative to create awareness among the public that a cleanliness drive is an ideal start to eliminating some of the social issues in Indian society. The show involved 800 students of which 320 were from Jayendra. Each pupil had a large card with a different colour on either side. 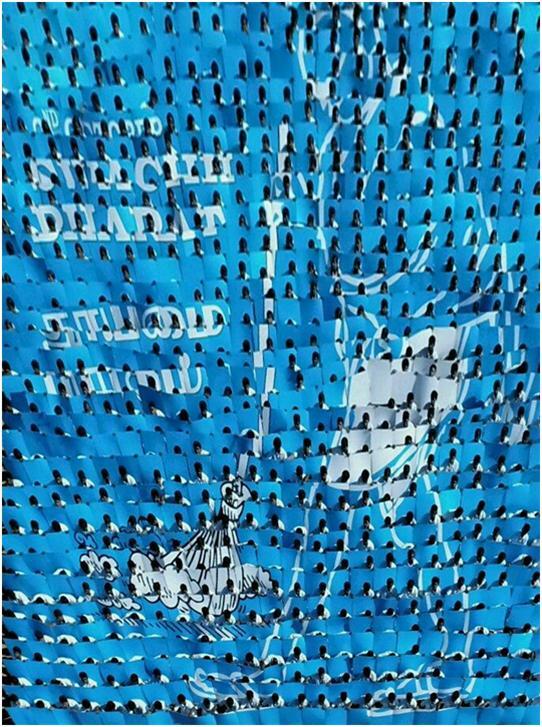 When arrayed in a stand in predetermined positions each pupil could hold up their card thus forming an image and then flip them for a second image. 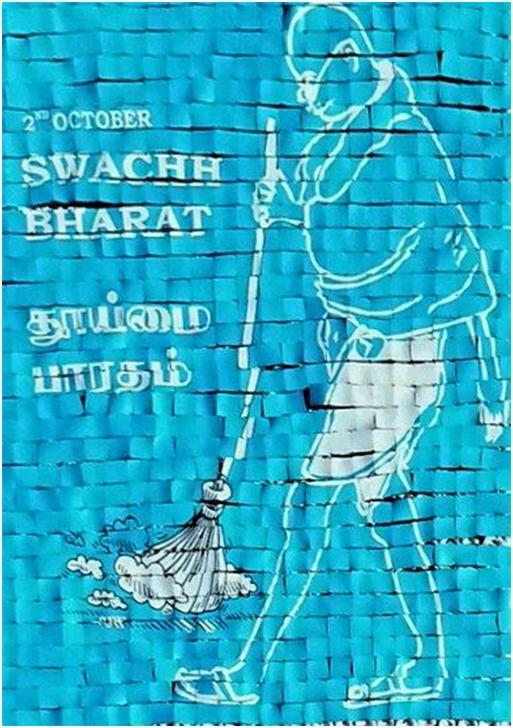 One image was of Mahatma Gandhi, the other had the message “Swach Bharath” or Clean India. “Human Pixel” may be a better term than “Human LED” because no light was emitted but we hope some illumination was shed on the Clean India campaign. Our students performed the show to a song on Swach Bharath which was written by our school Principal, Usha Raman, and scored by our Music master Jesuraja. Both song and show were most appropriate for the occasion and very much appreciated by the District collector and all the dignitaries who were present. Though the show was devised and rehearsed at very short notice it was executed very professionally and was admired by all.